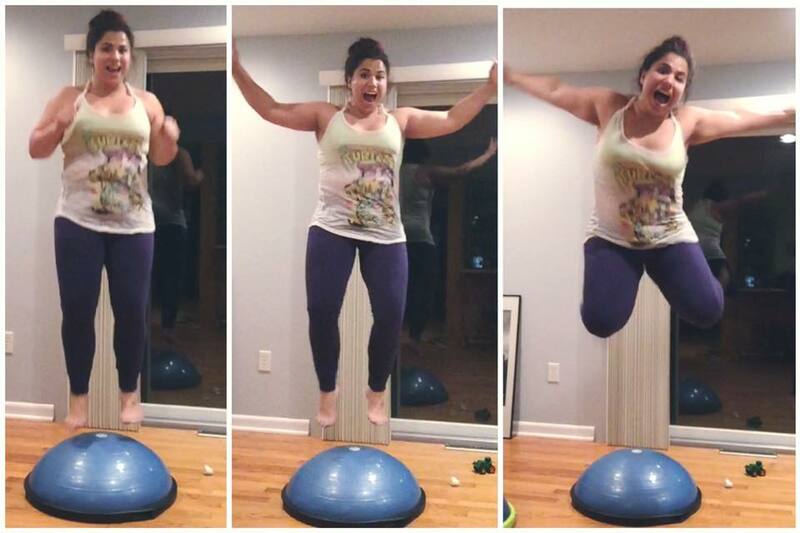 Does the #BOSUstrong challenge make you want to jump for joy too? I know I’m having fun with it! I’ve learned new ways to incorporate the BOSU into my daily routine. This week is all about the STRETCH & TONE! 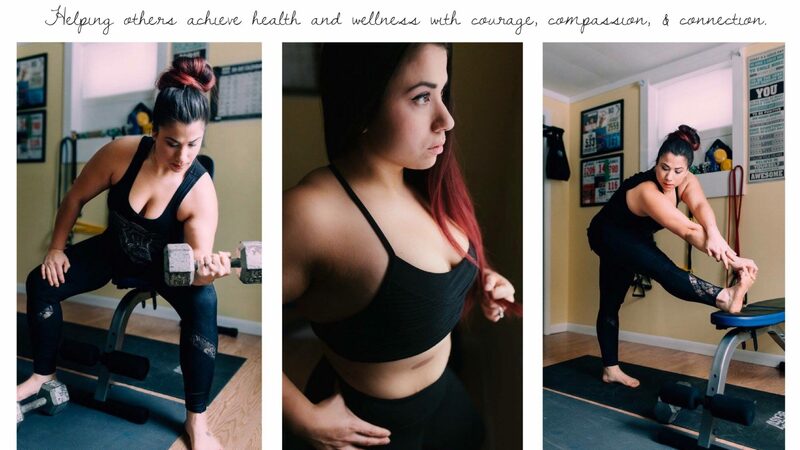 Week 3: My 5 fave stretches and 3 tips for toning your arms! I can’t believe its already week 3 of the #BosuStrong challenge, time flies when you’re having fun! Last week we focused on balance and I was proud of myself for __attempting a tree pose on the bosu_. This week its all about stretching and toning – so make sure you join in on the fun! I love to stretch my legs by doing _pigeon pose_. My favorite total body stretch is_a sun salutation series_. I swear when I do___hamstring streches___, it feels like_a painful reminder that I’m still not ready to run and I wish I were (darn hamstring injury)_.
I stretch my mind by _meditating will in corpse pose and letting go of the daily stresses. I try to stretch out of my comfort zone by_trying new things and pushing myself just a little harder with each workout/stretch. Fuel your body right!! This is the most important piece of advice! If you want those muscles to really pop you will need to dedicate more efforts in the what you’re putting into your body. 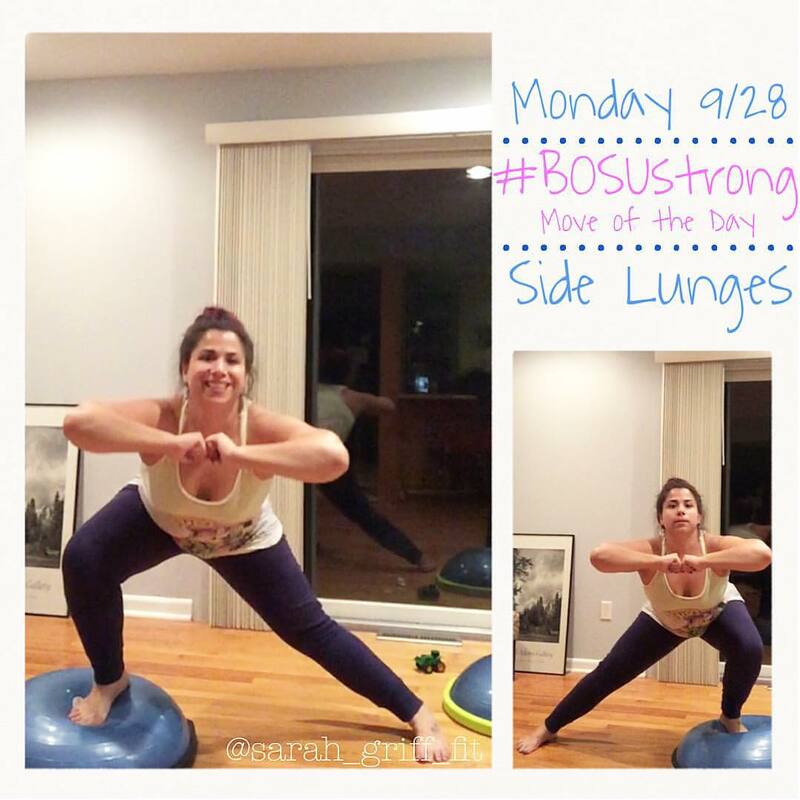 So I want to know – are you #BOSUStrong? Copy and paste the above, fill it in and make it your own and then tag me in it and share with your friends! Let’s all be #BOSUSTRONG. The daily prompts are below. You can also follow along HERE. 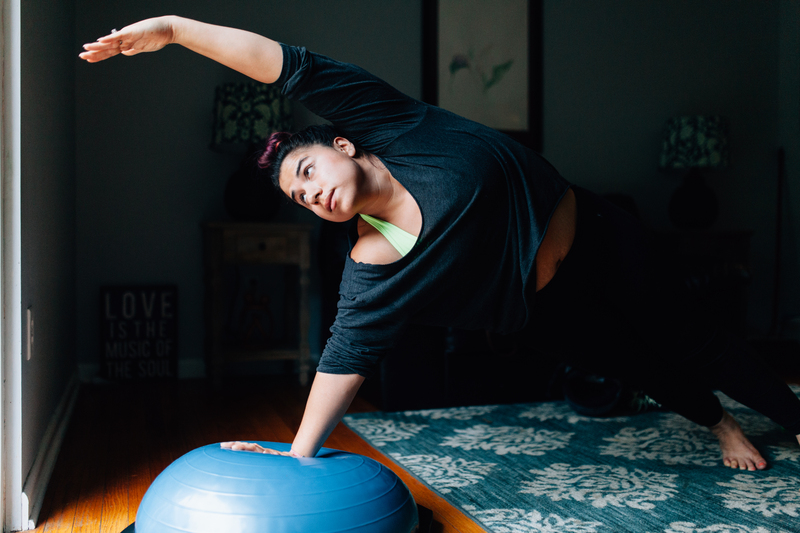 Notes: You do not need to own or have access to a BOSU to participate. By participating you will have a chance to win a BOSU and other fun prizes. And please, if you are using a BOSU throughout this challenge, never stand on your BOSU with the dome facing down (images or moves down on the BOSU incorrectly will not count during this challenge).